Nationally Recognized as the Provider of Driver Helpful DOT Physical Exams! Village Family Clinic has a large parking area for the largest trucks. Be seen within 5 minutes of your appointment for an easy DOT physical. We also offer Drug and Alcohol Testing and FAA Basic Med. Since we have more than one doctor certified we can always fit in one more physical. Quick, easy and painless! Corporate discounts are available and other services as well! Located just two miles off route 80, exit 19, Hackettstown, NJ, we are accessible from many areas in NJ! What is a Driver Helpful DOT Physical? Helping drivers and motor carriers is what we do. Drivers with certain medical conditions need a medical examiner who not only knows the medical requirements, but who is interested in helping the driver maintain their livelihood. At the same time, our driving certifications provide the safety aspects that motor carriers expect and need.Nationally Recognized as the Provider of Fair, Ethical DOT Physical Exams. Pass Your DOT Medical Exam! Dr. Fedich and Dr. Miller know how important it is that you continue your livelihood as a commercial driver. With their extensive knowledge of the DOT Physical Exam medical guidelines, Dr. Fedich and Dr. Miller will steer you through the DOT Physical Exam requirements so you can Keep on Truckin’. Looking for a DOT Physical Exam or CDL Physical Exam in Hackettstown, New Jersey? You’ve come to the right place! Village Family Clinic has a large parking area for the largest trucks, be seen within 5 minutes of your appointment for an easy DOT physical. We also offer Drug and Alcohol Testing and FAA Basic Med. Since we have more than one doctor certified we can always fit in one more physical. Quick, easy and painless! Corporate discounts are available and other services as well! Located just two miles off route 80, exit 19, Hackettstown, NJ, we are accessible from many areas in NJ! Located on Route 517, Exit 19 off route 80. Turn left off the exit and two miles on the right, large parkign lot, big green sign! 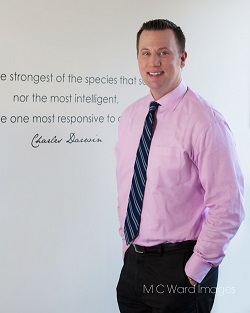 Dr. James Fedich is the clinic director at VIllage Family Clinic. A multi-disciplinary clinic in northwest NJ. He was one of the first doctors certified in NJ under the new FMCSA regulations and has been doing DOT physicals for years. Our quick and easy physical will help you get your medical card and be on your way!